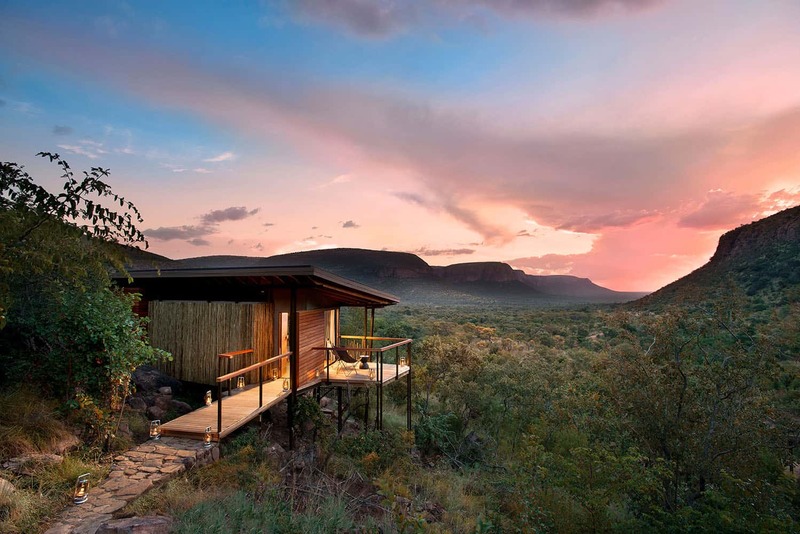 Built to sound ecological principles, the Marataba Trails Lodge in the Waterberg offers wilderness walking safaris combined with five-star luxury. There is a sense of remoteness one associates with pockets of wilderness in far-flung places. But only a few hours’ drive from Johannesburg one can walk into such a wilderness. 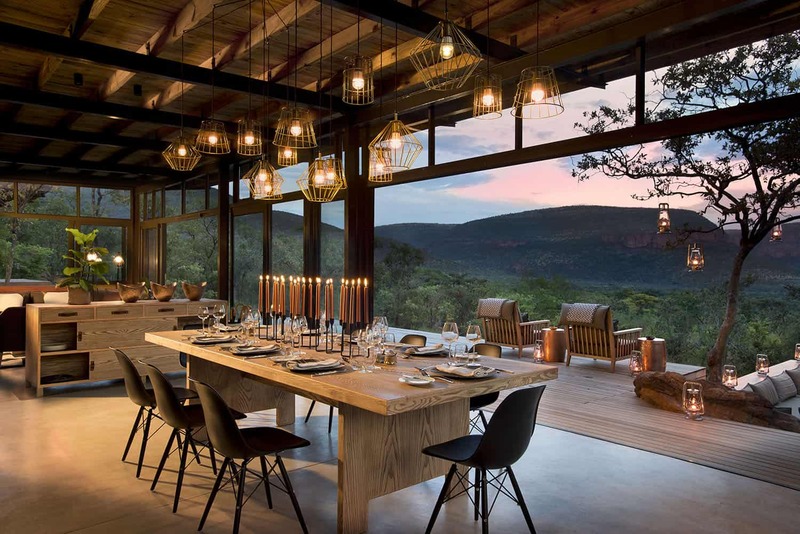 VISI chatted to the owner, the architects, the interior decorator and a guest of the new Marataba Trails Lodge in Limpopo. 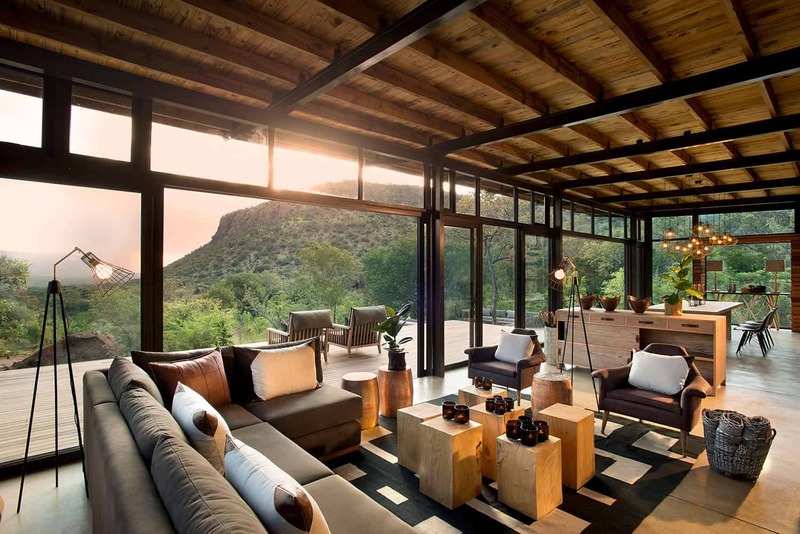 Marataba Trails Lodge is the result of several trends in luxury travel: First, a demand for extraordinary authentic experiences. Second, a movement towards healthy living. People are more physically active, conscious about what they eat, and attracted to the simple pleasures of good sleep and clean air. And finally, a yearning for a digital detox. 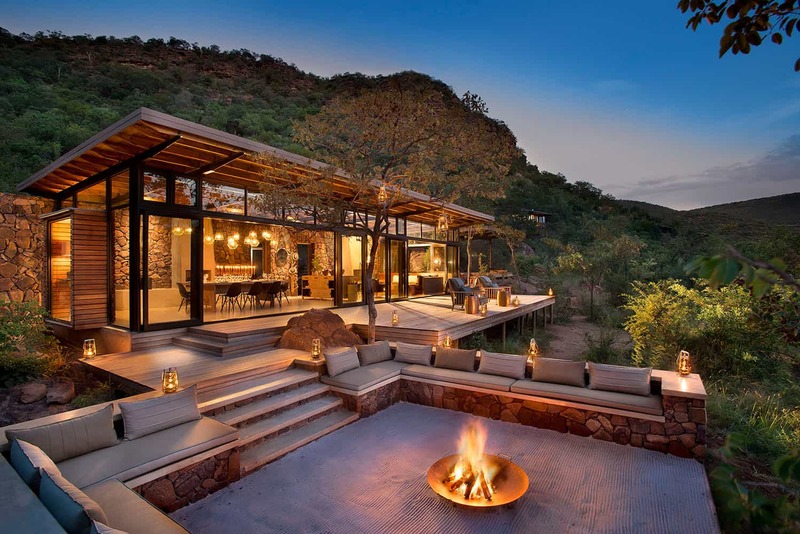 The Marataba experience is unique in that luxury here is in the form of intense walks, the privacy afforded by the mountains, ample views of the valleys, clear streams, a highly personalised service and an unparalleled home base where every comfort is met. Marataba Reserve is located within Marakele National Park. 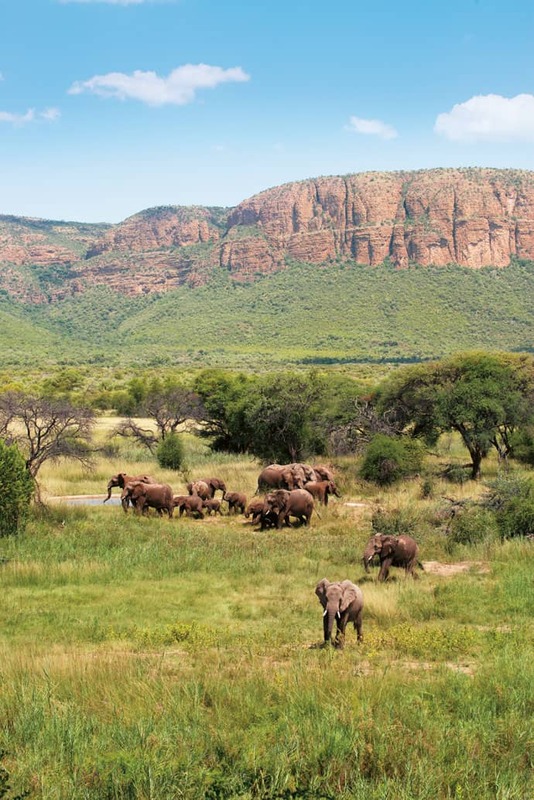 The Trails Lodge, though, is only accessible on foot or by 4×4 from Marataba Safari Lodge, which is located about 25 minutes’ drive away. We found the perfect place for it on the slopes of a mountain with views all the way into Waterfall Valley. 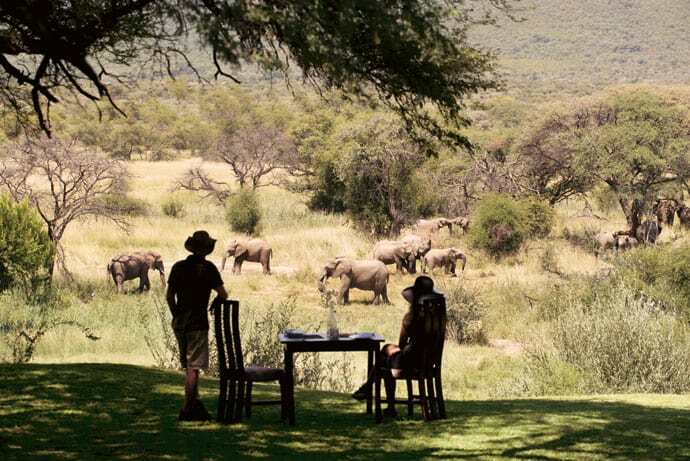 It is utterly remote and private, in a wilderness world of its own – with never more than eight guests at a time. 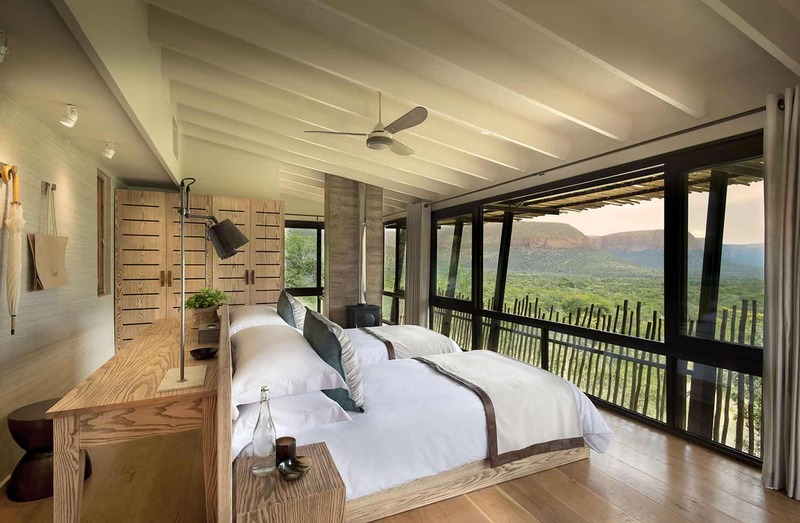 We wanted to create an environmentally responsible, sustainable design and layout in line with the environmental impact assessment, and at the same time meet the operator’s brief for guests to experience the MORE maxim of a modern lifestyle trails camp with optimal comfort, privacy, and extraordinary views of and constant contact with the pristine natural features and wildlife. The buildings, raised steel-framed glass boxes with sod roofs and timber panelling, touch the ground lightly. They are located and screened to mitigate visual impact in the landscape. Lath sliding screens and “eyebrows” provide passive sun control and, together with the sod roofs, break up the visual building form. We’ve used renewable and environmentally friendly materials wherever possible. The lodge is also truly off-grid, with solar power, gravity-fed borehole water, rocket stoves for space heating and gas for water heating. 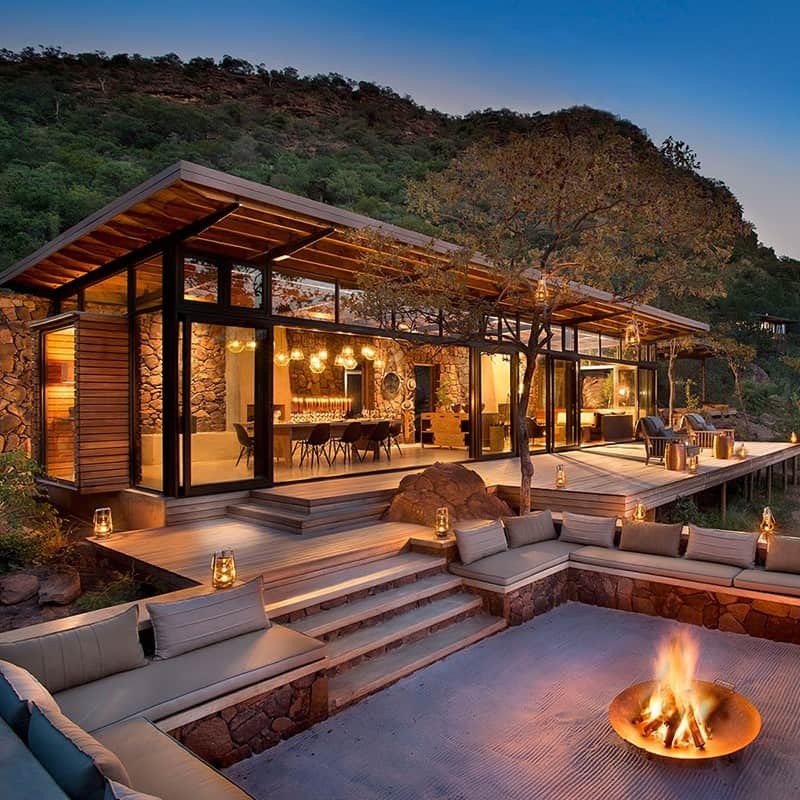 The challenge in the design was to balance an upmarket guest trails camp lodge experience with modern design and ecologically sound structures. During construction, logistics were a challenge because of the steep slopes and the desire to have minimal impact on the environment. My approach was to blend exterior and interior elements through the use of stone, wood and metal – materials with natural-feeling textures. 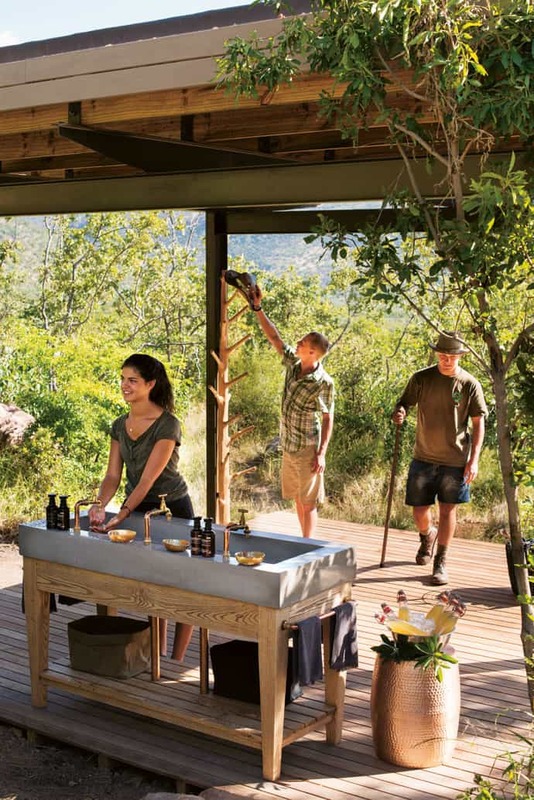 This creates a comfortable yet sumptuous eco-lodge experience. I would describe the aesthetic as Scandi Safari, because the decor is inspired by the clean lines of Scandinavian design. The furniture was chosen to enhance the experience of the natural surroundings, embodying Robert’s brief of promoting harmony between human habitation and the natural world. The most noteworthy design feature is the use of texture. I focused on wood, copper, suede, linen, leather and stone, combining them in all the details of the furniture and accessories. Everything was designed and produced locally by The Noble Collective. A game walk is more stimulating than a game drive, as you get to walk where vehicles can’t go and you feel as if you’re part of the food chain. You get to see the smaller plants and creatures, which are expertly named and described by the rangers. The most special wildlife encounter I had was tracking rhino and elephant, getting so close we could hear them breathe – so close yet so far from a tree to climb! Marataba’s location in a huge private concession with spectacular mountains and dramatic views is what sets it apart. For more information, visit marataba.co.za.